Stunning has never been so easy. See why over 452,000 wedding websites have been built. See why over 483,000 wedding websites have been built. Our new theme, Serendipity, was created with you in mind. Our new theme allows you to put your name, date, and content where you need it (NOT on top of you) on each page of your wedding website so the most important part of your wedding shines....YOU! And it should look that way on your phone too. With new mobile tweaking the mobile view of your wedding website will look just as impressive! 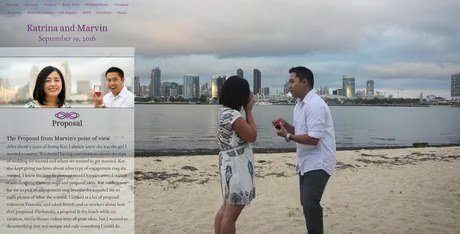 Wedding Websites with Video Backgrounds! We recently became the first and only wedding website provider to offer video backgrounds. You can upload your own or you can take advantage of our vast stock gallery. To see all of our Video Themes, click here. 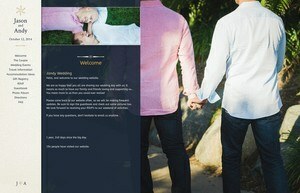 Using the "Guest Photos" page of your wedding website, your guests can upload photos directly to your Media Gallery! They can upload directly from their Facebook, Instagram, Flickr, device and many others. Adding photos to your site from friends and family has never been easier. You can even download a zip of all of your guest's photos whenever you wish. 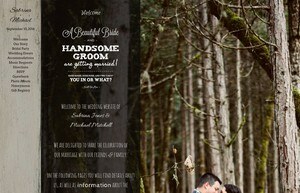 "I am in love with our wedding website and have had so many great complements! So easy to use and customize to truly make it your own and really show who you are as a couple. I love the option to add music and the multiple pages for all our different activities and such. I highly recommend using weddingwindow.com and it's worth the upgrade!" "I searched far and wide to find something that met my criteria, which is primarily the layout and look, customization, and the planning section was honestly a huge bonus. 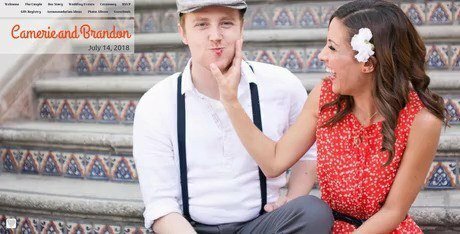 I knew I needed a site that can really capture the essence of our engagement photo pictures which were the main focus of the site." "We heard about Weddingwindow.com through a friend. We wanted to do something different and something that would help us organize the multitude of events that we have. This was the perfect solution for everything. This website is so well organized and extremely easy to use. They thought of everything! Now we are watching all of the compliments roll in on our very own site. Thank you Weddingwindow.com! Jay & Andy"